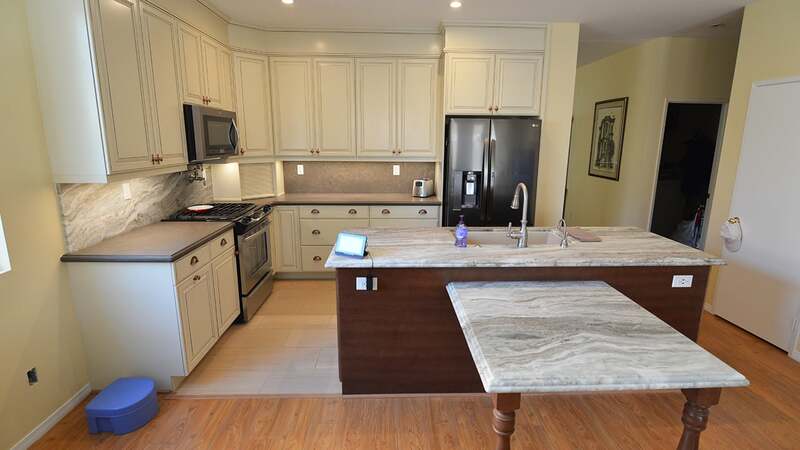 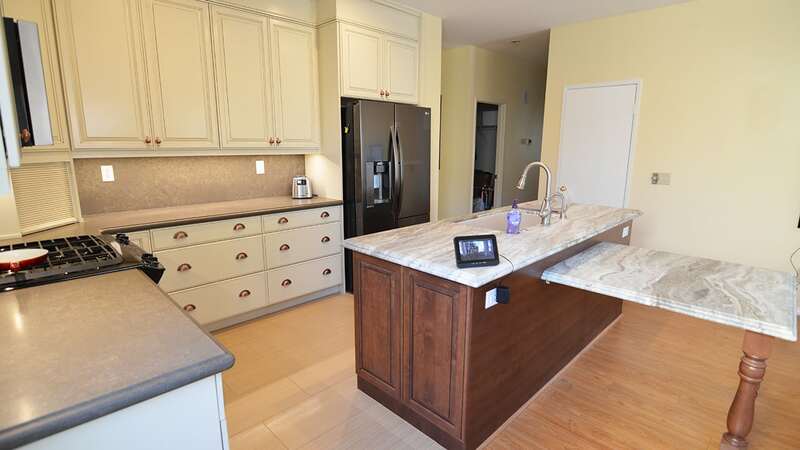 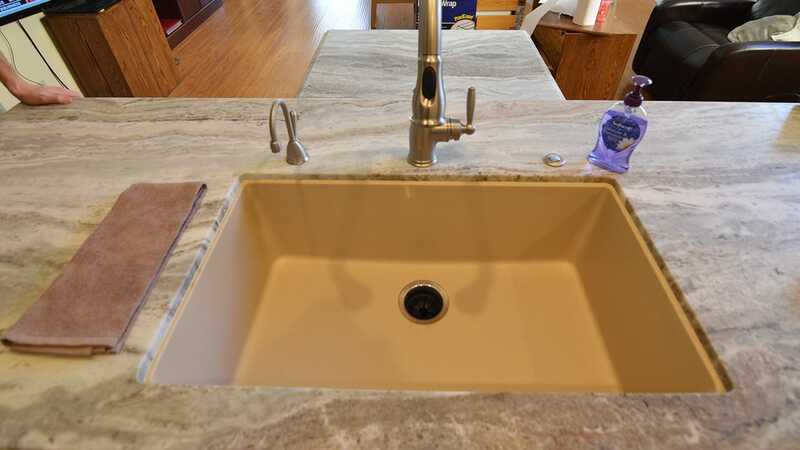 Project Features: Added table, slab backsplash, deep drawers, quartz sink and under cabinet lightening. 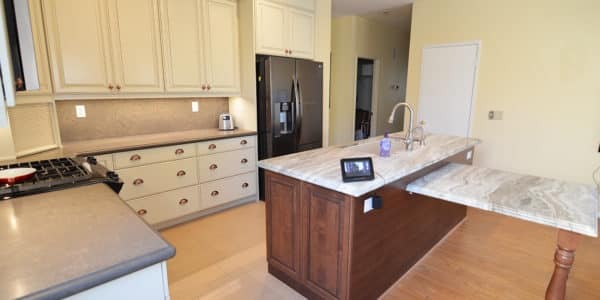 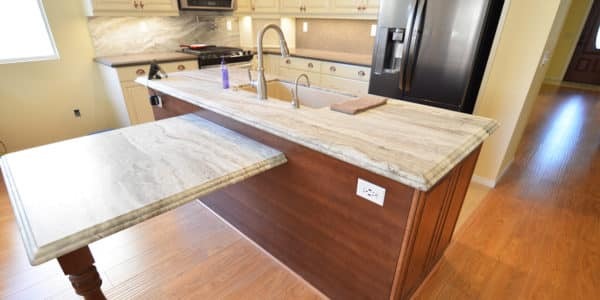 The countertop is a quartz from Arizona Tile called Metropolis Brown, the island countertop is also from Arizona Tile but it is a Marble called Fantasy Brown. 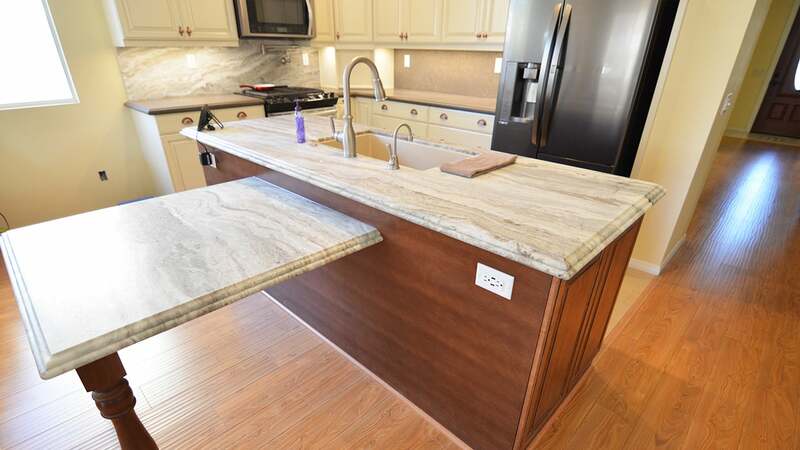 The edge detail for the island is an Ogee Step-Out Bullnose, the cooktop splash is the quartz Metropolis Brown and for the other splash the Fantasy Brown Marble is used. 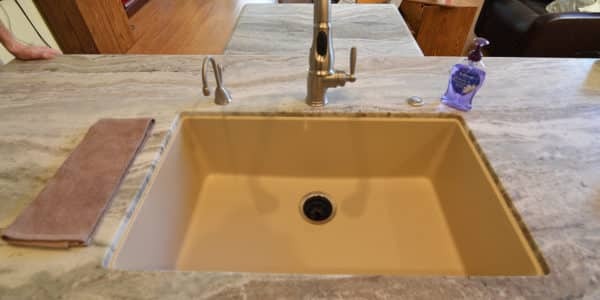 The sink is in the island, it is a single bowl, beige, quartz sink. The flooring is from Dal Tile it is porcelain tile that has a fabric look to it. 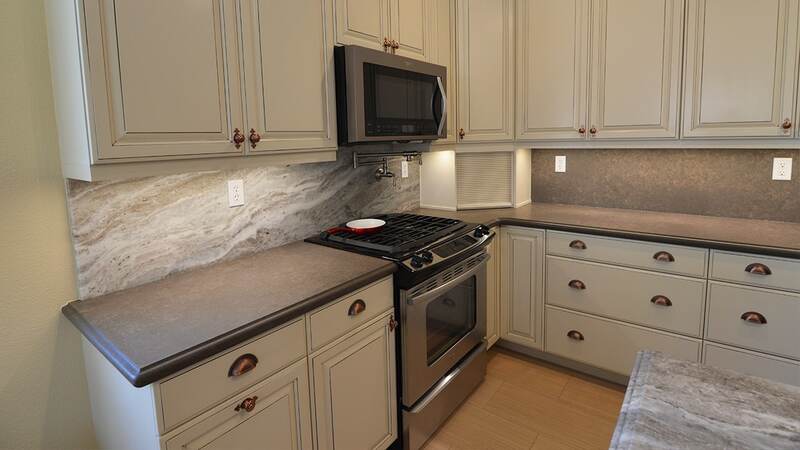 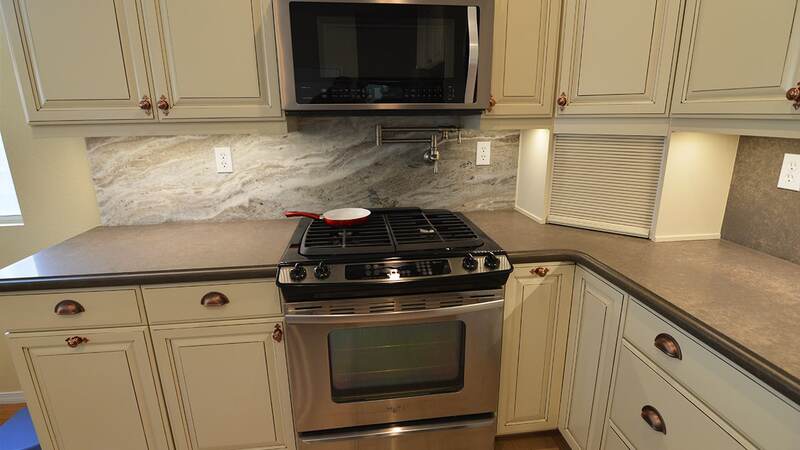 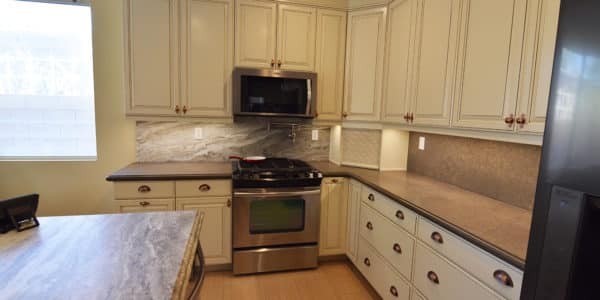 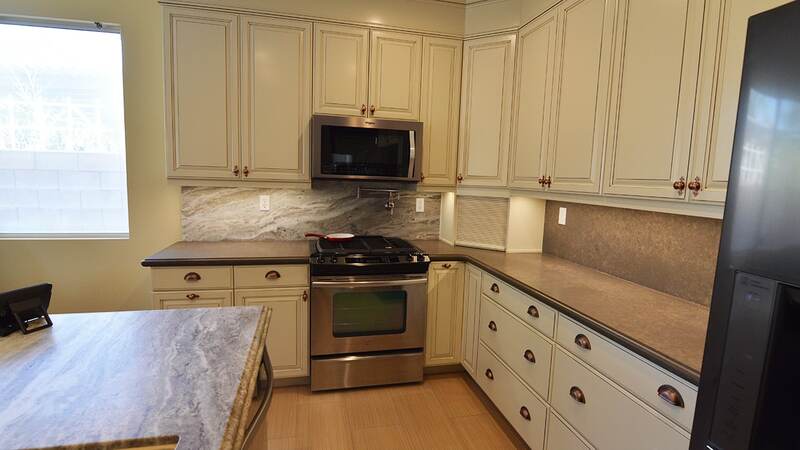 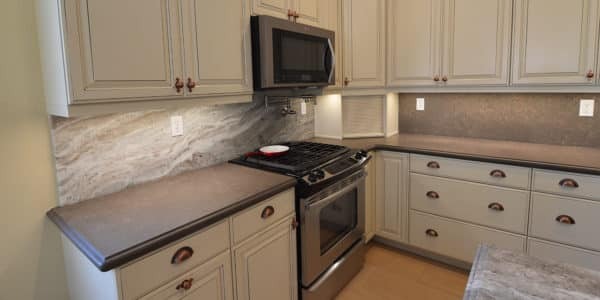 The appliances are stainless steel and the faucet is brushed nickel. 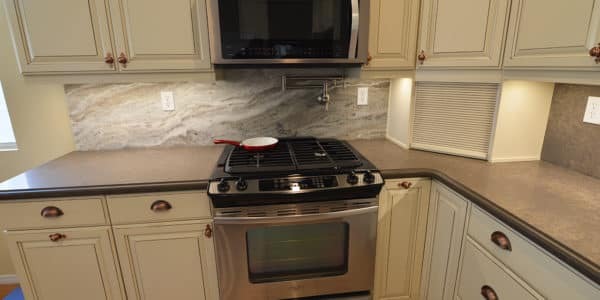 This kitchen remodel is eclectic, it has a little bit of everything but ties together very nicely.